Author Steinberg Henry has transformed his love for global and island entertainment education and culture into 14 segments and 119 chapters integrating leaps in consciousness, methods and disciplines with skill surprising. “Calypso Drift” passes by way of an island Parliament, Dread/Rastafari, memorable black-sand beaches, religious systems, the KwÉyòl language business, high-school learning remembrances, a touch of Kalinago sensibility and, American song selections on Caribbean radio in the 70s and 80s. This book helps people understand the interdependence of world cultures. American song was just as critical to the development of island culture as island people are to the development of American society. As this is presented in text form, it will serve as a trace for persons using other formats to research and develop island culture. 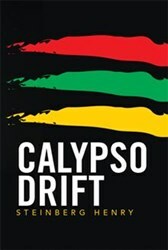 “Calypso Drift” serves as source for those in print media, electronic media, video and film producers, bloggers, social media enthusiasts and students eager to source material on case studies regarding West Indian/Caribbean and global culture. This volume draws their attention to a record of song lyrics and the context in which they were written. It also shows how significant song poets are to any society and, it is written to provide a methodology for recording a country’s culture to serve as history. Every nation must keep a history of its entertainment culture and presentation of Dominica’s culture is just as significant. Steinberg Henry is originally from Waitukubuli, present-day Dominica. Currently, he resides just outside Atlanta, a city known for its music history. He is father, passionate communicologist drawn to entertainment education, healing arts and philosophy. By dint of a visual difference, he’s fast becoming advocate for persons with disabilities. Calypso Drift is his third work, the other two being As She Returns (2009 second edition due in 2014) and An Unassuming Love (2011).